or pick up some major-specific classes at JWCC this spring! Same quality classes as four-year universities, credits transfer across the country and cost a LOT less. 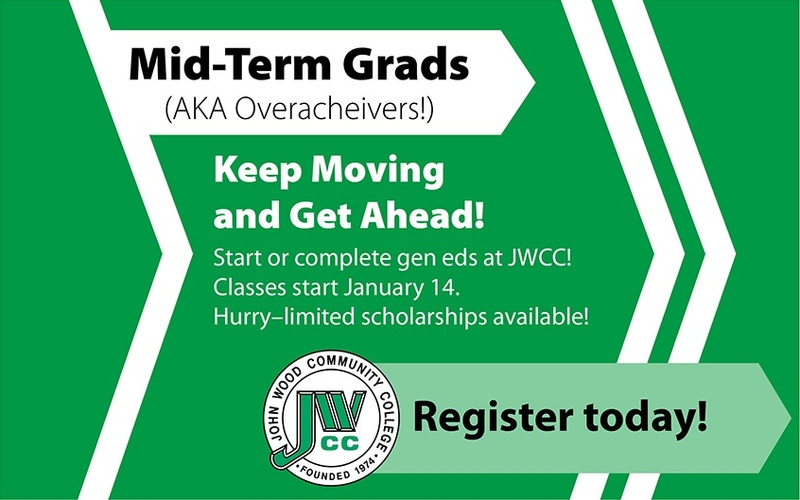 Apply to JWCC and Midterm Scholarships- deadline extended to December 1. 2. Fill out the form below to apply for the Midterm Scholarship.